Emperor of the Sea is an ocean-adventure featuring an all-conquering Chinese Emperor. This video slot comprises of rich colours and smooth graphics. Players can play a Free Spins round with two added features to help boost their wins and possible payouts. Read on to get more details about this free spins round. What is interesting about this online slot is that there are three payline options available (38, 68 and 88). This online casino slot game has 4 rows and 5 reels. The five high value symbols have a Chinese-theme. These comprise of objects that are synonymous with this Asian country. The five symbols of high-value are pots of gold, Chinese trash, gold coins and a turtle, dragons and Koi carps. Chinese styled playing card icons (A, Q, J, K, 9 and 10) make up the low valued symbols on the reels. 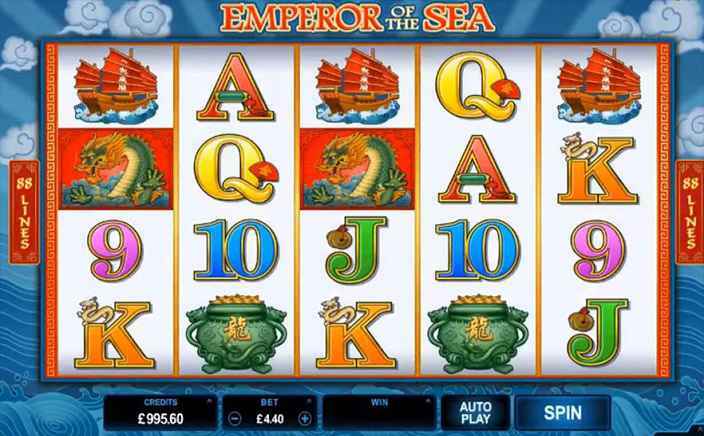 Emperor of the Sea has just one main bonus feature and that is a free spins round. With a minimum of three Golden Ingot scatter symbols landed on visible positions on the reels, you will activate this round and earn eight free spins in total. When compared to other video slots, the number of free spins in this game is quite low. However, there is a twist to this round and players can eventually get to play many free spins if they are lucky. 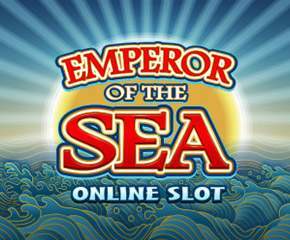 In the free spins round of Emperor of the Sea, you can trigger two bonus features to help boost gameplay as well as wins. The first feature is the Rolling Reels, as you land a combo win during the free spins round, the winning symbols can drop off and be substituted by new symbols which could further earn you yet another combo win. The graphic design, animation and soothing Chinese tune that plays in the background all help to boost your gameplay. Players can earn high rewards during the free spins round and this game comes with an RTP of 97.00%.